Department of Computer Science and Engineering researchers had multiple papers presented at the 2018 IEEE Networking Conference. Recent achievements for the campus community were earned by the Department of Computer Science and Engineering, students in the Department of Agronomy and Horticulture, Hail Know and iGEM team members, Richard Ferguson, Roger Elmore, Sue Ann Gardner, Scott Garner, Scott Napolitano, Elsbeth Magilton and Tyler White. 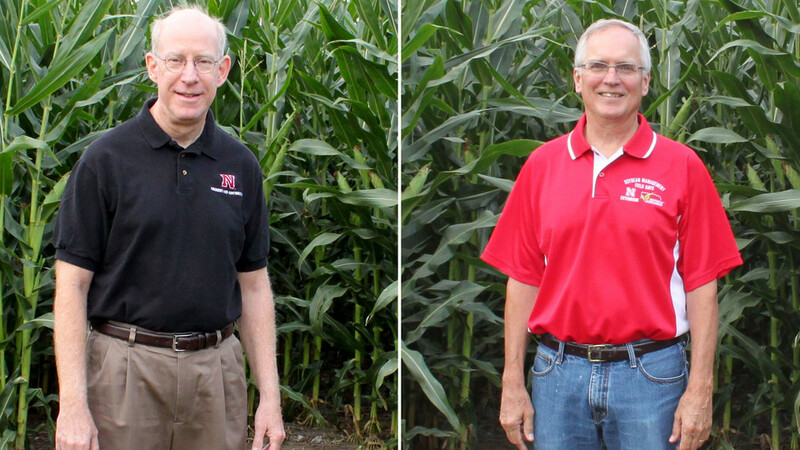 Department of Agronomy and Horticulture professors Richard Ferguson and Roger Elmore were recognized for their dedication and outstanding service to Nebraska's South Central Agricultural Laboratory on Dec. 6. Ferguson, professor of soil science, has worked at the university since 1985. Elmore, Nebraska Extension cropping systems specialist, has spent over 29 years at Nebraska. Three Inclusive Excellence Development Grant proposals were awarded for the fall 2018 grant award cycle. Grants include "Spanish Translation of Open-Access Biology Textbook, Concepts in Animal Parasitology" by Sue Ann Gardner and Scott Gardner; "Diversity and Ethnic Minority Affairs Committee Assistance Grant" by Scott A. Napolitano; and "Recruiting, Retaining and Supporting Women in the Security Field" by Elsbeth Magilton and Tyler White. 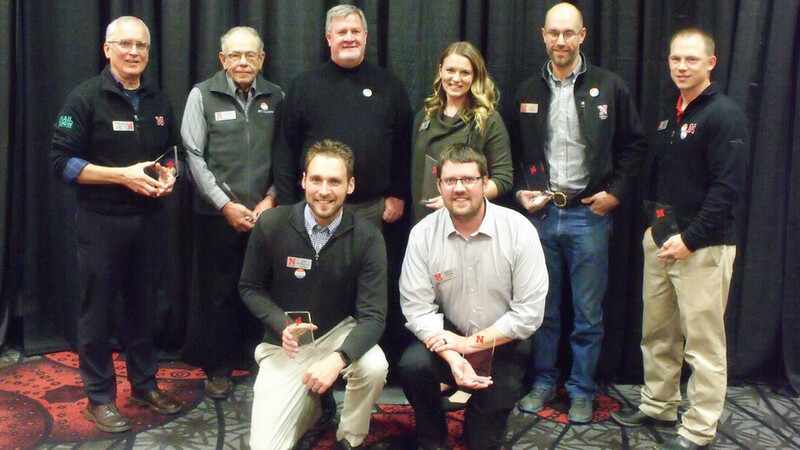 Nebraska Extension faculty were honored with the Excellence in Extension team award for Hail Know, a project launched in January 2018 which creates timely and relevant programming to answer growers’ questions when hail storms strike. Hail Know team members include Ashley Mueller, Tyler Williams, Nathan Mueller, Al Dutcher, Robert Klein, Paul Jasa, Justin McMechan, Jenny Rees, Corey Walters, Roger Elmore, Chris Proctor and Daren Redfearn. Six Nebraska agronomy students took top honors at the 2018 North Central Weed Science Society Meeting held Dec. 4 through 6 in Milwaukee, Wisconsin. Award-winners include Jesaelen Gizotti de Moraes, Estefânia G. Polli, Alexandre Tonon Rosa, Isidor Ceperkovic, Andrea Rilakovic, Rosa Soriano and Jasmine Mausbach, advised by Amit Jhala and Greg Kruger. Nebraska's iGEM (International Genetically Engineered Machines) team took home a silver medal and nomination for best poster at the 2018 International iGEM Competition. 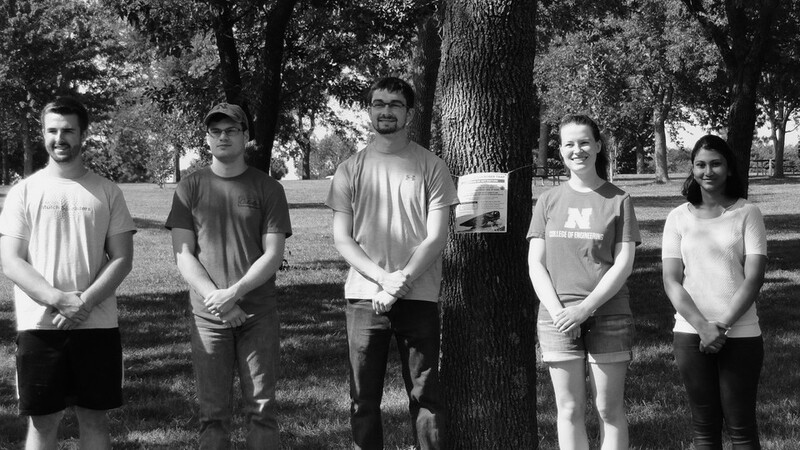 The team's award-winning project involved engineering a strain of E. coli to control the emerald ash borer, an invasive species of insect killing off ash trees in Nebraska. The team included students Tyler Barker, Shreeya Vaitla, Rachel Van Cott, Gabe Astorino, Nicholas Kite and Drew Kortus and was led by faculty members Myra Cohen, Massimiliano Pierobon, Wei Niu and Jiantao Guo. Department of Computer Science and Engineering researchers had multiple papers presented at the 2018 IEEE Networking Conference. The papers, accepted at a competitive rate of 19.7 percent, were contributed by Deepak Nadig, Byrav Ramamurthy, Brian Bockelman, David Swanson, Minh Vu, Lisong Xu, Sebastian Elbaum, Wei Sun, Mohannad Alhanahnah, Qiben Yan, Hamid Bagheri, Yutaka Tsutano and Witawas Srisa-an. 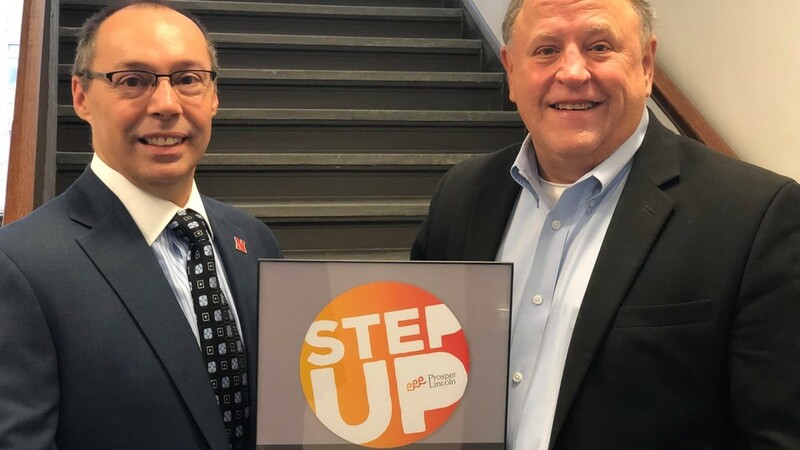 The Department of Computer Science and Engineering was also honored with the Prosper Lincoln Step Up award by Rich Claussen, Ambassador for Innovation and Entrepreneurship. The award was accepted by Department Chair Steve Goddard and team members for hosting Reverse Pitch and State of the Practice, events that help connect students to career opportunities in Lincoln's tech industry. Nebraska's iGEM team took home several honors at the 2018 International iGEM Competition. Rich Claussen presents Steve Goddard with the Prosper Lincoln Step Up award. Hail Know team members receive the Excellence in Extension award. Richard Ferguson, left, and Roger Elmore, right, were recognized for their outstanding service to Nebraska's South Central Agricultural Laboratory.